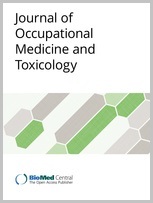 This research work is dedicated to occupational health problems caused by ergonomic risks. The research object was road building industry, where workers have to work very intensively, have long work hours, are working in forced/constrained work postures and overstrain during the work specific parts of their bodies. The aim of this study was to evaluate the work heaviness degree and to estimate the muscle fatigue of workers after one week work cycle. The study group consisted of 10 road construction and maintenance workers and 10 pavers aged between 20 and 60 years. Physical load were analyzed by measuring heart rate (HR), work postures (OWAS) and perceived exertion (RPE). Assessments of the muscles strain and functional state (tone) were carried out using myotonometric (MYO) measurements. The reliability of the statistical processing of heart rate monitoring and myotonometry data was determined using correlating analysis. This study showed that that road construction and repairing works should be considered as a hard work according to average metabolic energy consumption 8.1 ± 1.5 kcal/min; paving, in its turn, was a moderately hard work according to 7.2 ± 1.1 kcal/min. Several muscle tone levels were identified allowing subdivision of workers into three conditional categories basing on muscle tone and fatigue: I – absolute muscle relaxation and ability to relax; II – a state of equilibrium, when muscles are able to adapt to the work load and are partly able to relax; and III – muscle fatigue and increased tone. It was also found out that the increase of muscle tone and fatigue mainly depend on workers physical preparedness and length of service, and less – on their age. We have concluded that a complex ergonomic analysis consisting of heart rate monitoring, assessment of compulsive working postures and myotonometry is appropriate to assess the work heaviness degree and can provide prognosis of occupational pathology or work-related musculoskeletal disorders for the workers under different workload conditions. These results can also be used when deciding on necessary rest time and its periodicity.